Do you have a tech person on your Christmas list? Maybe someone that likes to use their phone to control everything? Or maybe you're the one one that wants to monitor your energy usage and control when things turn on and off? Well, no matter which of these needs you fit into the Wi-Fi Smart Plug is a great solution for you. 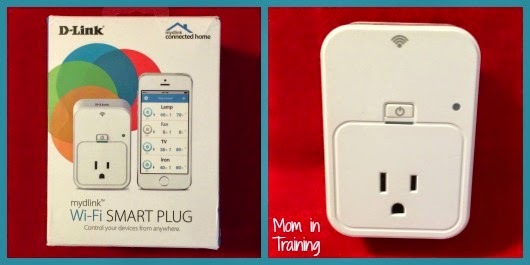 The reason I was so intrigued by the Wi-Fi Smart Plug is because of where we live. Out here in the country there isn't any street lights to light up the front door at night to make finding the keyhole and getting into the house easy. And when I am leaving early in the day I really don't like to have my porch light on all day wasting electricity. That's where the Wi-Fi Smart Plug comes it. With my smart plug I've been able to plug in my porch light that I can turn on at any given moment I wish. And I don't even have to be home to do it! Now I don't have to worry about fumbling around in the dark with my keys trying to get inside the house at night. Yeah, this is really cool! I found my own smart plug under the christmas tree. Cute!